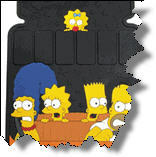 Cartoon Car Mats Bring Out the Kid in All of Us! Plasticolor makes the greatest variety of universal fit cartoon car mats you will find. Just navigate to the Cartoon Mat you are interested in, check out the pic and read the reviews. And, if you find sites with great reviews please share the info with me and other readers of this site by filling out a contact sheet with the appropriate info. Some popular cartoon characters which may be found on automobile mats include Betty Boop, Tinkerbell, Hello Kitty, Tigers & Leopards, Alligators, Zebras, Winnie the Pooh and Tigger, Mickey Mouse, Tazmanian Devil, Tweety Bird, Cheshire Cat, Bugs Bunny, Spongebob, Looney Tunes, Superman, Spiderman, Superheroes and many other funny characters. Global Accessories has a great selection of logos, many of which are cartoony. Available on their berber and carpeted mats you can have logos like; flags with eagles, skulls and crossbones, ghosts, hearts, aliens, yin and yang, happy faces, plants and animals, western symbols, zodiac symbols and support ribbons - just to name a few. Check them out if you are interested in a cartoon logo for your car mats. If you really want to treat yourself to a luxuriously plush mat with designer colors and cute little cartoonish characters (like an Alligator, Lobster or Whale) then you need to visit the GG Bailey website and custom design your own automotive mat there using their “Design Your Car Mats” tool. No matter who or what your favorite cartoon character is, there’s a good chance you’ll find a car floor mat colorfully decorated with your favorite character at one of the web sites listed in my Cartoon Car Mats and Logo Mats Guide . Have fun and enjoy the fantasy experience of driving with your favorite cartoon character guiding and protecting you from their place on your car's floor.